Searching for the best hiking trips, trails, and experiences in Colorado? Good news: we have covered every single inch, foot, and mile of Colorado backcountry and trail, and now we have created the official list of the “Best Hiking Trips in the State of Colorado,” just for you. Colorado is one of the best states for hiking. What can I say, I’m a little biased. I lived in the Centennial State for six years and spent nearly every weekend outdoors. I logged a lot of miles, and had many memorable trips. But one of my most memorable wasn’t about the views, or the terrain. It was what happened on the hike that will stick in my mind for every. It was an easy loop hike in Rocky Mountain National Park. I don’t even recall the trail my friends were on. We were nearing the end of the trip, and emerged from a stand of conifers and forked around a tiny mesa. And bam! We found ourselves, in an instant, in the middle of a gang of elk. We all froze for what seemed like an eternity. Massive bull elk stood grazing on either side of the trail, unfazed by us 15 yards away. We tip-toed out of there like ballerinas! And that’s what’s so awesome about Colorado hiking. In every corner of the state, on the Front Range and Western Slope, from the high-alpine peaks, to the red-rock plateaus, backcountry magic awaits. Are you looking to do some hiking in Colorado? There are numerous itineraries and backcountry escapes for hikers of all experience levels in Colorful Colorado. We’ve highlighted our favorite Colorado hikes here. Bottom line, these hikes will show you the best of the best of what Colorado has to offer. From the majesty of the Black Canyon of the Gunnison, to Colorado’s top places such as: Hanging Lake, Rattlesnake Arches, Willow Lake Trail, Lost Lakes-Devil’s Causeway, North Vista Trail, Lost Creek Wilderness, Capitol Creek, Continental Divide Loop, Elk Park-Needleton, Conundrum Hot Spring in Aspen, add these 10 top Colorado hiking trips to your bucket list. We’ve found the best hiking trails in the state of Colorado… for you. In Colorado, get off the grid fairly quick. These down-and-dirty day hikes span the entire state. And each offers its own rewards – from sprawling views, to one-of-a-kind terrain. However, the state of Colorado is known for amazing, and breathtakingly beautiful day hikes. These day hikes are trips that are for beginners, intermediate, and advanced level hiking lovers and below you will learn where you should go in Colorado to see these views, get some exercise, and get the experience of a lifetime. The Editor’s pick of best colorado hiking trail. The best day Hikes in Colorado. The secret’s out about Hanging Lake, the stunning alpine pool near Glenwood Springs. In fact, nearly 1,200 people hike the trail every day during the summer. That makes sense, though, when you see what awaits. The trail winds through the sandstone walls of Glenwood Canyon, climbing moderately uphill for most of the three miles. At the top, you’re rewarded with one of the most otherworldly sights in the entire Centennial State: an aqua-marine pool fed by cascading waterfalls. Hanging Lake crowds are a drag, though. You can avoid the bulk of traffic by visiting in late fall or early winter. The lake is just as beautiful, the trail is quieter, and you won’t have to worry about parking. How to Get to Hanging Lake / Glenwood Springs: There’s a 112-spot parking lot located at the Hanging Lake exit (125) on Interstate-70. It fills up quick in summer. Fortunately, starting in 2019, a seasonal shuttle will be available from downtown Glenwood Springs. In off-seasons, parking is easier, especially on weekdays. What to Expect: The trail is fairly rugged and it’s a steep climb. You’ll ascend about 1,200 feet in a little over a mile. Sturdy hiking boots are recommended. Camping/Permits: Starting in May 2019, reservations are required to hike the trail year-round. Reservations can be made through the Forest Service website. There is no camping at the trail, although there are plenty of places to camp in the surrounding White River National Forest. Make sure you get your reservations in advance before you go hiking the Hanging Trail in Colorado. The Forest Service’s link is below. We also recommend that you get your hiking gear and apparel through Angel Outdoors, so that you are fully prepared for this tough terrain. Get More Info: Check out the Forest Service’s website for closure notices, trail conditions, and requirements. Make sure that you also come fully-prepared and ready with the best hiking boots and shoes for your trip to Colorado. The geology of Arches National Park is world-famous. But the McInnis National Conservation Area – home to Rattlesnake Arches – is nearly as stunning, with a fraction of the traffic. In fact, this area on the Colorado-Utah border has the second most natural arches in the U.S., behind only the aforementioned national park. Rattlesnake Arches is the crown jewel: a towering crag that looks like a serpent ready to strike. But along the trail – one of the best on the Western Slope – you’ll get a showy display of geology. Massive spires and windows line the trail, and you get world-class views of pinon-pocked mesas. How to Get to the Rattlesnake Arches Trail: Hit the trail from the Pollock Bench Trailhead. You’ll follow Pollock Bench to Rattlesnake Arches trail. This is an out-and-back hike. Camping & Permitting: Camping and day-use permits are not required for the Rattlesnake Arches area, although they are for the nearby Colorado River corridor. Camping is prohibited around the areas, parking area and access road. What to Expect: This is a long hike, especially in hot weather. It’s popular in spring and fall, as summer temperatures can make it difficult, with highs in the 90s. The Rattlesnake area is prone to flash floods; avoid the area if rain is imminent. And be sure to pack enough water. There aren’t reliable water sources once you head out. We also would recommend that you are prepared with the best camping gear and products. More Info: Check out the Bureau of Land Management’s site for trail info, closures and trip planning resources. Overall, if you are into expert hiking and ready for a more intense, energy-aggressive adventure, then the Rattlesnake Arches Trail is for you. We rated the Rattlesnake Arches Trail #2 on our list of Colorado’s best hiking trips because we believe everyone would enjoy traveling and adventuring to this trail… but it’s not the easiest to overcome. Be sure to come fully equipped with Angel Outdoors gear and if you camp or hike at night, use the following best outdoor camping lights to guide you to the terrain. Colorado’s Sangre de Cristo Mountains take on a reddish hue in the alpine glow. And the Willow Lake Trail sits right in the center of it all. You’ll get world-class views of Kit Carson Mountain and Obstruction Peak, and at sunrise or sunset, the granite takes on the blood-red glow. The hike isn’t for the faint of heart. It’s a quick climb up. But the views, the hidden lake, and Willow Falls, make this a rewarding day hike. The trail climbs fairly quick in the first 1.5 miles, but evens out a bit after that. At the top, take a rest at Upper Willow Lake – a postcard-worthy alpine swimming hole. Then, continue on to see Willow Falls at the east end of the lake, with views of Kit Carson and Obstruction Peak. This trail is located just north of Great Sand Dunes National Park, too. Day-hike this trail (or overnight it) and then hike High Dune Trail on a long weekend. How to Get to Willow Lake Trail: The trailhead is located just east of Crestone, CO on East Galena Ave. Follow the road for 2.25 miles to the trailhead (the last .75 miles requires 4WD). This is an out-and-back trail. Camping & Permitting: Rio Grande National Forest does not require permits for hiking or camping. Dispersed camping is permitted throughout the forest. One of top trails in colorado for hiking. What to Expect: The hike starts with some punishing switchbacks for the first 1.5 miles. But the terrain starts to even out. If you plan to camp up at Upper Willow Lake, a great cold-weather tent and sleeping bag is a good idea. Overnight temperatures in spring and fall can dip into the 30s. More Info on Willow Lake Trail: The Forest Service’s website has information about closures, trail conditions, maps and more. And if you are planning on camping in the National Forest, you should be sure to bring the best hiking gear and products to make your experience safer and more secure. Best colorado hiking trips and trails (Lost lakes - Devil’s causeway Loop - Rank #4) for intermediate & beginners. A name like Devil’s Causeway sounds a little hairy. And by all means, it is. The centerpiece of this loop is the causeway, a natural bench that’s about three-feet wide, 50-feet long with 50-foot drops on either side. Sure, it might be short, but with the wind blowing at 11,800 feet, you’ll feel like you’re walking a tightrope on top of the world. Of course, there’s plenty more to see. You’ll start in wildflower-pocked meadows around Stillwater Reservoir; it’s incredible in June when the columbines are in full bloom. From there, you’ll start a rigorous climb, which provides views of Little Causeway Lake and the Chinese Wall (which is a flat-top mountain which is reach via the causeway). The next leg takes you over the causeway – which has incredible views of Flat Tops Wilderness Area – before continuing over the top of the Chinese Wall (where fortunately, the trail widens quite a bit). How to Get to Lost Lakes | Devil’s Causeway Loop: The trailhead can be reached from Stillwater Reservoir, which is just south of Steamboat Springs. You’ll take the East Fork Trail, which ascends up to the Causeway. After passing over, you’ll junction with Chinese Wall Trail, and ultimately take Bear River Trail back down to form the loop. Camping & Permitting: Permits are required and hikers can self-register at the trailhead. An established campsite is near the trailhead, and dispersed camping is available in the district. Check with the Yampa Ranger Station for permits. What to Expect: The trail starts modestly, moving gently through the Lost Lakes valley. There’s a steep ascent up to the Causeway, followed by mostly flat terrain on top of the Chinese Wall. The descent can be a bit steep, too. More Info: Check out the National Forest website for trail closures, conditions and other useful information. colorado’s best hiking trips, trails, and challenges. Because the terrain is quite challenging, you will want to make sure your feet are safe and protected. Angel Outdoors has all the best items for hiking, just go to the navigation bar above and search for hiking boots and shoes to help you on your next Colorado hiking trip. Western colorado’s best hiking trips and trails. In Colorado, if a trail has a view, it typically draws crowds. But that’s not the case with the North Vista Trail. This trek, which takes you along the North Rim of the Black Canyon, provides a birds-eye view of one of the state’s most spectacular canyons. And it’s dead quiet. Trail traffic is non-existent, especially out of July and August. Of all the treks on this list, this one’s the easiest too. North Vista doesn’t gain much altitude – although it has the steepest ascent of any rim trails in the park at 800 feet – and the trail is well-kept. You’ll take off from the North Rim Ranger Station, and following along the canyon’s northern rim. You’ll be rewarded right away. One and a half miles down the trail, you’ll reach Exclamation Point, which gives panoramic views of the canyon with the Gunnison River flowing through. Don’t forget your camera! From there, the next destination is the summit of Green Mountain, two miles from Exclamation Point. From the summit, gawk at the sprawling views of the green hills and the canyon walls. This is the perfect beginner hike in Colorado. Plus, it’s short; you can do this in the morning, and take off for Long Draw Gulch later in the day. HOW TO GET TO NORTH VISTA TRAIL (OLATHE, COLORADO). How to Get to North Vista Trail (Olathe, Colorado): The trail takes off from the North Rim Ranger Station. Parking is available there. The trail is well-established and well-marked. Camping & Permitting: Permits aren’t required to hike the trail, although a $20.00 entry fee is required to access the park. Camping is available in the park at the North Rim, South Rim and East Portal campgrounds. What to Expect: The North Rim Trail doesn’t gain much altitude and remains fairly level. You certainly won’t be aching the next day. But the views are worth the trip alone, and you’ll be able to savor them without the crowds. Really, it might be one of the most-scenic and least-crowded trails in Colorado. BEST HIKING TRAILS IN WESTERN COLORADO. The National Park Service’s website has useful information about camping, fees, closures and hiking in and around North Vista Trail. Also, be sure you buy one of the best hiking daypacks available. These are awesome hiking daypacks for beginners and intermediate hiking trails. Before you next trip hiking in Western Colorado, buy your outdoor hiking gear and apparel from Angel Outdoors. Want to spend a night (or several) under the stars? You’ll find plenty of incredible overnight backpacking trips in Colorado. Just pack up your hiking backpack, make sure you have all the right gear, and plan for inclement weather (especially if you’re above tree line). The best overnight, multi-day hiking trips in Colorado. Tucked away in Pike National Forest, you’ll find the sprawling 200,000-acre Lost Creek Wilderness. It’s named for a hidden creek that dips below ground and resurfaces several times. And this quiet haven is one of the best loops in the entire Pike forest. It’s quiet, the terrain is unique, and there are a few one-of-a-kind sights along the way. Bison Peak – with its craggy red rock stacks – is the star, and you’ll reach its summit after a strenuous ascent on Day 2, depending on your pacing and direction. Yet, there’s plenty else to see. Refrigerator Gulch is worthy of exploration. Lost Creek carved the gulch, and it’s beautiful. Most rest up at the cave, which has a creek flowing out of it. It’s a great place to dip your toes. And you may cross paths with wildlife along the way; moose and mountain sheep populate the area. That said: This isn’t an easy trek by any stretch. Although you’ll start with gentle terrain in the first four miles – if you’re hiking counter-clockwise – there are some brutal ascents. After Refrigerator Gulch, the trail climbs 1,000 feet in a little over a mile. And the Bison Peak saddle is a bugger. But the red rocks and solitude make it a worthy destination, if you don’t mind a little pain. How to get to Lost Creek Wilderness Loop in bailey, COLORADO. How to Get to the Lost Creek Wilderness Loop: This loop takes off from the Lost Creek Campground, which is smack dab in the middle of the wilderness area. It’s a two-hour drive from Bailey. And you can choose to hike it clockwise or counter-clockwise. The counter-clockwise loop is the preferred route. Camping & Permitting: Wilderness permits are required, and self-permitting is available at the trailhead. There are several established campsites throughout, most of which are located near water sources. Disperse camping is also a possibility. What to Expect: The trek has several ascents and descents, which can be quite strenuous. It’s a punishing 3-day hike. Traveling counter-clockwise, you’ll take the Goose Creek Trail to the Brookside McCurdy Trail. Awesome hiking trails and trips in colorado. More Info on Lost Creek Wilderness Loop (Colorado): The Forest Service’s website has the latest closures, trail conditions, and maps for Lost Creek Wilderness Loop. You should also check out the best backpacks for hiking and camping, as you will need them for your multi-day trip out in the Colorado wild. If you’re planning a backpacking trip in Colorado, you’ve probably thought about the legendary Four Pass Loop. It’s one of the best, most scenic and physically rewarding. But it draws crowds July-September. The Capitol Creek Circuit makes an alluring alternative. Located just one valley way, this Circuit travels around Capitol Peak and Snowmass Mountains, and you’ll pass four stunning alpine lakes along the way. Plus, the crowds just aren’t here. The scenery rivals anything you’ll find in the Snowmass area. Hidden lakes sit tucked in between granite peaks, and Snowmass Lake dazzles. It rivals the view of the Maroon Bells from Four Loop. You’ll drop into sub-alpine meadows with wildflowers in full bloom, and over mountain passes. Trail Rider Pass provides all-star views of the surrounding mountains. The hike certainly requires stamina. It can be brutal in places, especially several of the passes, but it’s well worth it. It’ll feel like you have the place to yourselves, and the splendor is off the charts. How to get to Capitol creek circuit loop (super loop) map of trail in Colorado. How to Get to the Capitol Creek Circuit Loop: You’ll start at the Capitol Creek Trailhead, which is located in Snowmass at the end of Capitol Creek Road. From there you will take the Lead King Basin Jeep Trail for about 2 miles, until reaching the Geneva Lake Trail. You’ll eventually pass Snowmass Lake, before reaching Maroon Snowmass Trail. That junctions with West Snowmass Trail, which ultimately leads back to the trailhead via Capitol Creek Trail. Camping & Permitting: Self-register at the trailhead. Disperse camping is permitted along the trail, but follow rules for choosing a campsite. What to Expect: The Circuit is challenging, and that’s especially true over Avalanche Pass and the saddle of Capitol Peak. You gain over 12,000 feet in elevation along the loop. Ultimately, this trail best traveled in mid-to-late summer, as the snow starts to creep down the mountains in September. Overnight temperatures can drop into the 30s, as most of the trail is above 12,000 feet. Pack for cold weather. The Capitol Creek Circuit Loop hike is located in the Wild River National Forest. Visit the Forest’s site for closures, trail conditions, bear resistant container information, and maps. Beautiful photo of the four pass loop in Colorado (including capitol Creek Circuit) for hiking. You should also be sure to get the best outdoor camping tents to keep you warm and secure during any Colorado weather storm. Angel Outdoors would love to see your photos and images from your hiking experiences in Colorado. Be sure to follow @angel_outdoors on Instagram and tag us #AngelOutdoors on Facebook and Instagram. We look forward to hearing about your trip to this beautiful place in Colorado. best backcountry hiking trails in colorado: continental divide loop. We consider the Continental Divide Loop to be our favorite backpacking trip in Colorado. Want to see the best that Rocky Mountain National Park has to offer? This loop hike does the trick. It showcases the best of the best, from stunning alpine lakes, to waterfalls, and great above-tree-line views. Not to mention, most of the tourists stay away; you’ll have a run on the place. This trail is decidedly high-altitude. You’ll spend most of the trek above 9,000 feet, with careful ascends and descends along the way. And the scenery is stunning. You’ll get first-hand encounters with sub-alpine and montane ecosystems. Above tree line, you’ll be treated to absolutely epic views of the Never Summer Mountains. Plus, you’ll pass rushing Tonahutu Creek and lush meadows full of wildflowers. Bottom line, if there’s a way to see Rocky Mountain National Park, it’s on the Continental Divide trail. How to Get to the Continental Divide Loop (Colorado): You can start your trek from the Green Mountain Trailhead or Tonahutu/North Inlet Trailhead. Traveling counter-clockwise, you’ll travel on North Inlet Trail, before catching Tonahutu Creek Trail. Either direction works, as they’re both roughly the same in elevation. Camping & Permitting: Wilderness permits are required for overnight trips. You can obtain permits from the Beaver Meadows and Kawuneeche Village visitor centers. PHOTOS OF THE BEST HIKING TRIPS AND TRAILS IN COLORADO. What to Expect: High-altitude hiking makes any trekking strenuous, and this trail spends most of its length above 9,000 feet. It reaches a peak of about 10,500 feet. It’s helpful to acclimate before taking off. Plus, you’ll want to prepare for rain and cold weather. Rain is common on summer afternoons, and temperatures can dip into the high-30s and 40s. Overnight temperatures can drop to near freezing, even in summer. The National Park Service provides great information about the Continental Divide Trail. Also check out the Continental Divide Trail Coalition’s website for planning ideas. 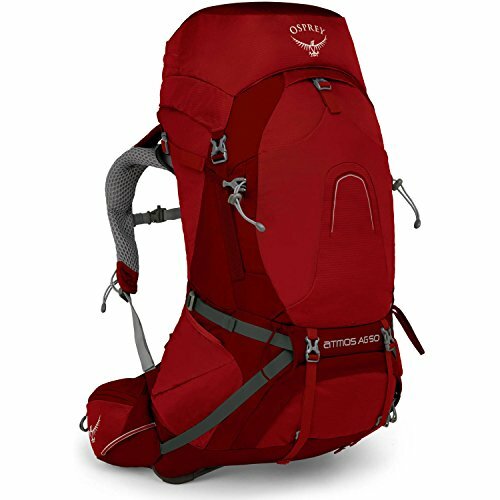 We also recommend checking out our collection of best backpacks for hiking before your next Colorado adventure. best overnight hiking trips in colorado. This trek is an out-and-back with a twist. You’ll take off from Elk Park. 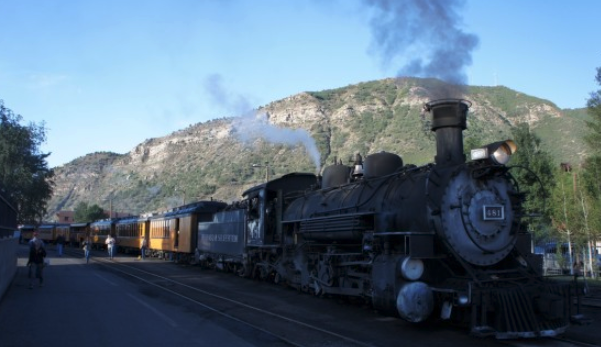 But you’ll get there via the Durango-Silverton train. It’s a scenic trip in and of itself, with beautiful canyon views along the historic route. And you get dropped off right at the trailhead in Elk Park, smack dab in the middle of the San Juan Mountains. This trip is truly stunning. You’ll follow the Elk Creek Trail to start, which runs along the steady-flowing creek. Along the route, gawk at the beautiful San Juans towering over the valley floor. Kite Lake and a historic miner’s cabin are sites to check out in the lower valley. At the rear of the canyon, you’ll pick up a portion of the Continental Divide Trail and jump over Hunchback Pass, before cresting down and following Vallecito Creek Trail back. The valleys are lush and full of wildflowers. And although it’s not very difficult, the terrain is fairly gentle for most of the trek, it’s worth it for the solitude. You’ll feel like you’ve transported back in time. How to Get to Elk Park / Needleton Loop: To arrive at the trailhead in Elk Park, you’ll take the Durango & Silverton Narrow Gauge Railroad. Book those reservations online. The train to Needleton Colorado is a bit expensive - $90 per trip. But it’s a scenic drive and unique experience. You’ll get dropped off at Elk Park; take the Elk Creek Trailhead to the Continental Divide Trail. From there, jump on the Vallecito Creek Trail to loop back to the Needleton, where you can catch the trail back. Camping & Permitting: No permits are required for overnight stays in the Weminuche Wilderness. What to Expect: The terrain is mostly moderate, with Hunchback Pass being the most difficult stretch. For most of the Elk Creek Trail, it’s mostly flat. And the return trek on Vallecito is gentle too. There’s plenty of great spots to set up camp, but check out the Wilderness Area’s guidelines for choosing a camp spot. Ideal times to go are July through September; although plan for rain and cold weather. Afternoon rain shows are common at altitude, and evening lows can dip into the 30s. Best overnight hiking trails for camping in colorado. More Info on Elk Park: You’ll find closures, trail conditions, camping regulations and more on the San Juan National Forest’s website. You also need to know that this overnight hiking trip will require equipment such as hiking boots and shoes that fit this tough Colorado terrain. The best outdoor hiking experience - conundrum hot springs, colorado - overnight camping in beauty. This is the best hiking trip and trail near Aspen, Colorado. What’s the ultimate way to relax after a long hike? A dip in a natural hot spring! Conundrum Hot Springs is one of Colorado’s favorites. And it certainly gets its fair share of crowds from mid-June to September. But there’s no denying the beauty of Conundrum Valley and the view from the springs. This hike is a fairly strenuous climb. Day 1 you’ll spend hiking up to the springs. And once you get there, it’s well worth the climb. You’ll find two large pool , as well as smaller springs, with water temperatures a balmy ~100 degrees. Yet, there’s plenty of charm on this hike along the way. You’ll cross bustling creeks, jaunt through dense forests, and wildflower meadows. Yet, when you reach the top, you’ll have sprawling views of the Conundrum Creek Valley below. One tip: Check out Conundrum outside of peak season. In fall, when the foliage turns, it’s quieter and the colors are amazing. How to Get to Conundrum Hot Spring (Aspen, CO): The trailhead is just a short drive from downtown Aspen at the end of Conundrum Creek Road. You’ll take Conundrum Creek Trail all the way up to the springs. Camping & Permitting: Camping and hiking in the Conundrum Creek area requires a permit. Through the permitting process, you can reserve one of 20 campsites through recreation.gov. Reservations for spring and early summer open in winter; late summer and fall opens for advance reservations in June. Permits can be obtained as little as one day in advance, depending on availability. Best hiking trails and trips near Aspen, Colorado. What to Expect: The climb up can be a bit of a trek, and there are several areas that are quite strenuous. A few things to consider: Bear canisters are required for all food and fires are not permitted in the area. Plan on bringing a camp stove for cooking. More Info: Check out the White River National Forest website for more information about hiking in the Conundrum Creek Valley. Be sure to buy the best-rated and reviewed camping gear because you need to be prepared for your next hiking trip, especially if you plan on staying at least one or two nights near your hiking trail. What’s Your Favorite Colorado Hiking Trail, Trip or Spot? Everyone has their own idea of the ideal hiking trip. Some like solitude, while others prefer super-physical scrambles. And that’s why it’s so hard to pick the best trips in Colorado. There are just so many awesome experiences to choose. What permits are required to go Hiking, Backpacking or Camping in Colorado? We highly recommend that you get all of your permits for hiking, backpacking and/or camping at least 30 days before visiting the state of Colorado. In order to get your permits, you should visit the National Park Service in advance of your outdoor experience. The fines for camping or hiking into Colorado lands without permission can range from civil fines to criminal penalties. When should you visit Colorado? We recommend anytime you are ready. When you’ve got your outdoor gear from our team and you feel like you can manage any terrain or trail featured above. What should you expect visiting Colorado? You should expect to see Colorado’s beautiful mountainous terrain, snow as pretty as the sun shines, and beginner-friendly, navigable lands that capture your breath. Think we missed one of the best? Let us know! Connect with Angel Outdoors on Facebook, Instagram or Twitter and tell us what we’re missing. This article on the best hiking trips and trails in Colorado, was written by Matthew Davis. Matthew is the lead writer and content researcher for Angel Outdoors. To read more of Matthew’s articles on his adventures to the best National Parks in the United States and his favorite adventures hiking.